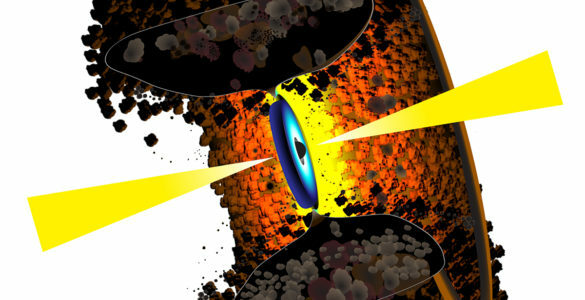 Credit: Fernandez et al., Bill Saxton, NRAO/AUI/NSF; Koekemoer et al., Massey et al., NASA. COSMOS J100054 is in a region of sky extensively studied with multiple telescopes as part of an international project called the Cosmological Evolution Survey (COSMOS). Data from that survey allowed the scientists to glean additional information about the galaxy. 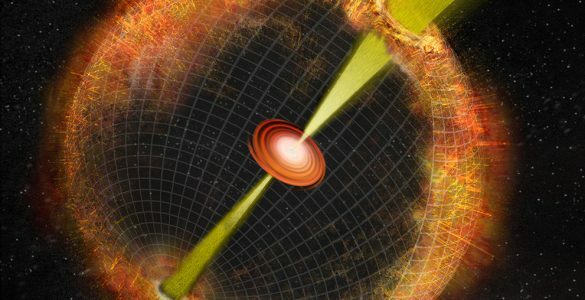 In addition, Hansung Gim of the University of Massachusetts, Amherst, used the Large Millimeter Telescope in Mexico to detect Carbon Monoxide (CO) in the galaxy. 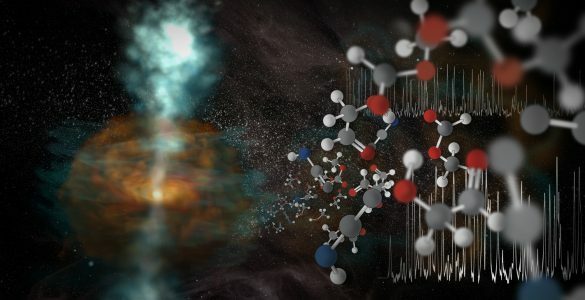 The CO detection gave the researchers key information about gas in the galaxy that is composed of molecules, rather than of individual atoms. 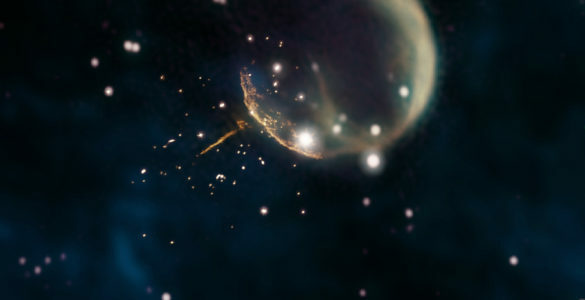 Molecular gas is considered a necessary precursor to star formation. 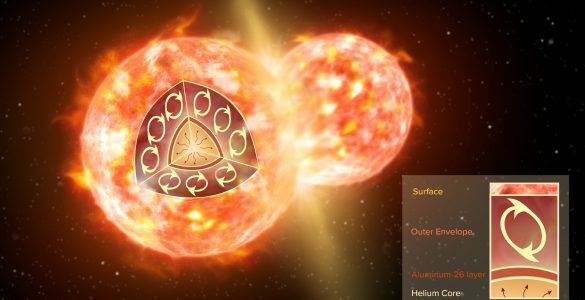 The research was the work of an international team of astronomers from North America, South America, Europe, Asia and Australia. The scientists are reporting their results in the Astrophysical Journal Letters. The National Radio Astronomy Observatory is a facility of the National Science Foundation, operated under cooperative agreement by Associated Universities, Inc. CHILES is partially supported by a collaborative research grant from the National Science Foundation. 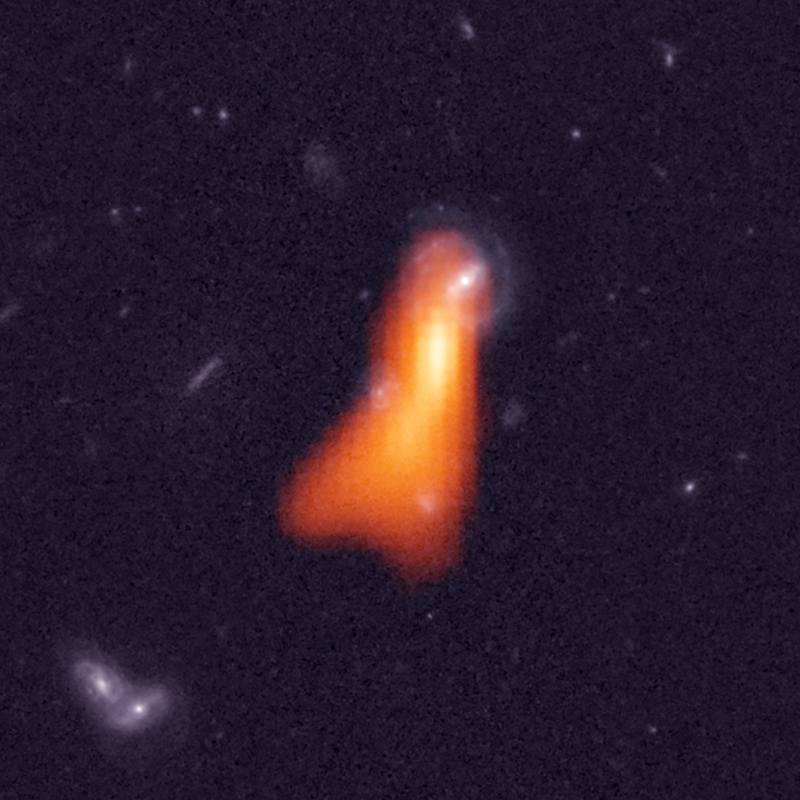 Radio-optical image of the galaxy J100054. 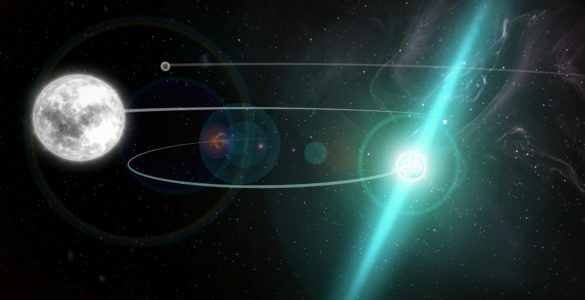 Background image is visible-light as seen with Hubble Space Telescope. 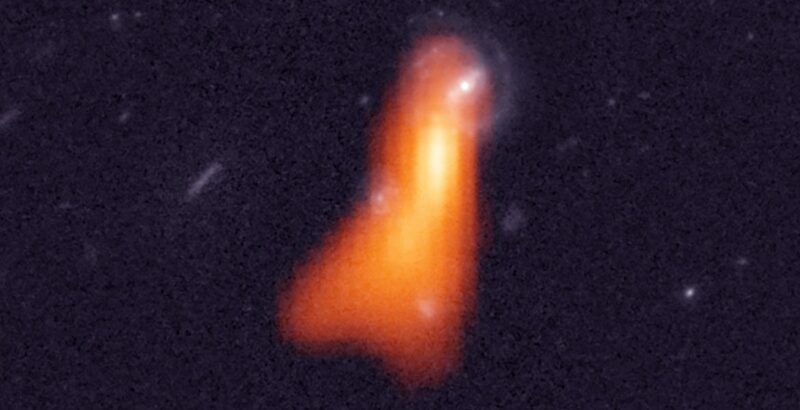 Orange shows radio emission from atomic hydrogen gas surrounding the galaxy.